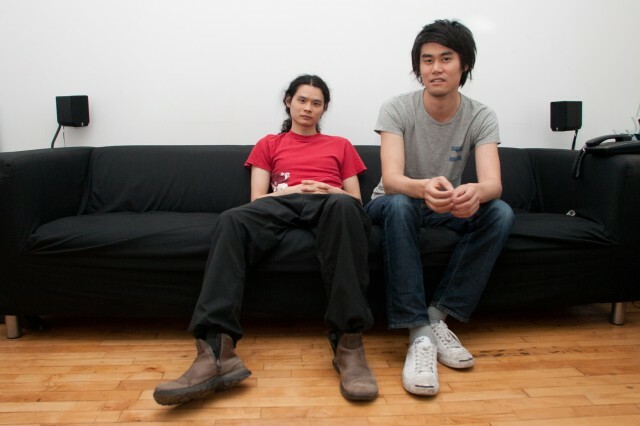 Jonathan Mak (left) and Shaw-Han Liem (right) in the office of Capybara Games, where some of Sound Shapes' part-time developers work. After three years of work, development on Sound Shapes is finally wrapping up. And yet, Mak and co-creator Shaw-Han Liem don't seem particularly relieved. "At this point, all you're seeing are problems," says Liem. "It's hard to appreciate how cool it is sometimes, because all you're dealing with all day are issues."